In the fight to save our planet, individual efforts matter but it’s the combined force of many that can really make a difference. 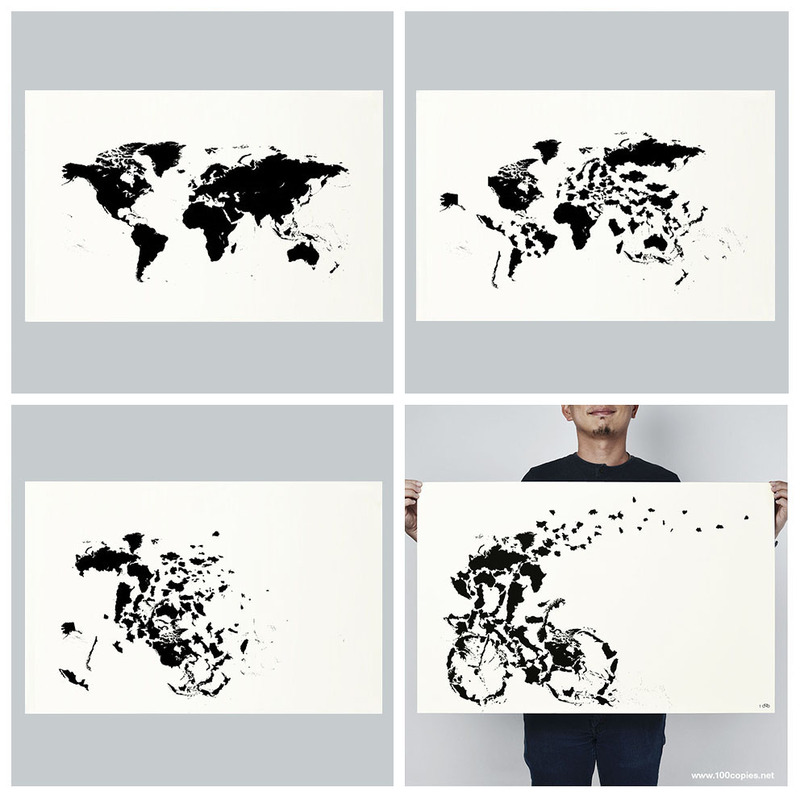 The Tour de World poster is a metaphor for this change. 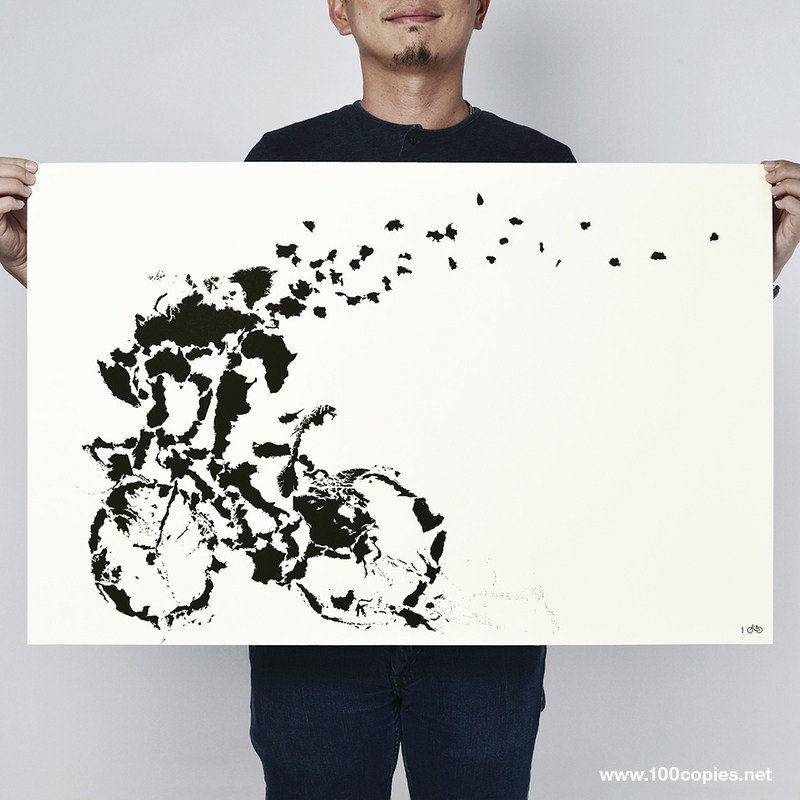 Demonstrating how cyclists from 195 countries can come together as one to achieve a cleaner, greener planet. 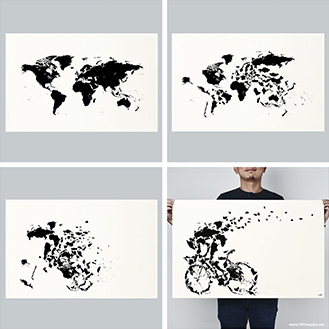 Tour de World has been painstakingly created by using the geographical boundaries of various countries and creatively reorganizing them to form the silhouette of a cyclist. CLICK HERE to see details of the work.